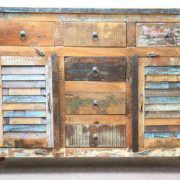 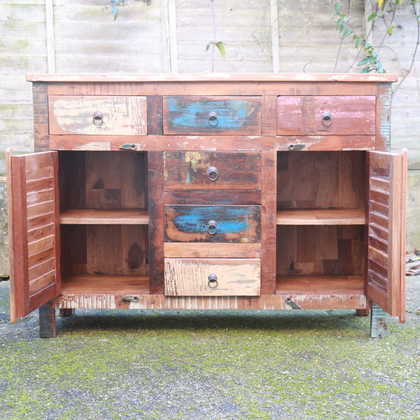 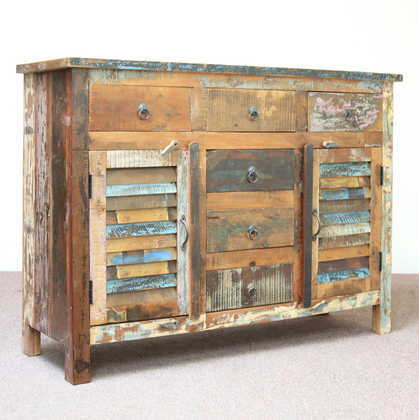 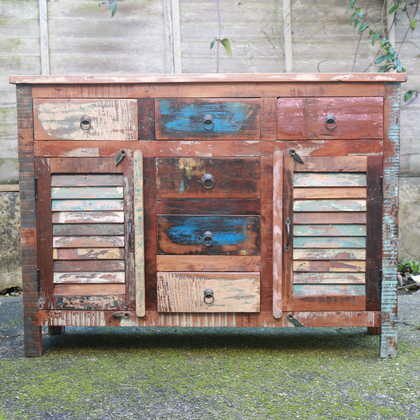 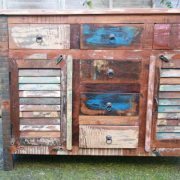 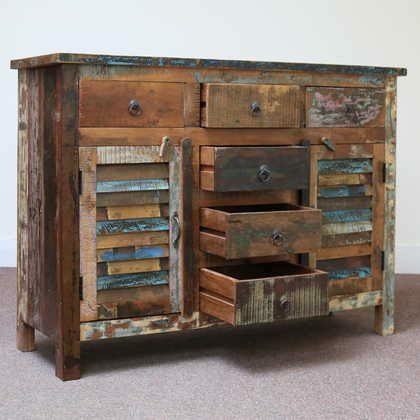 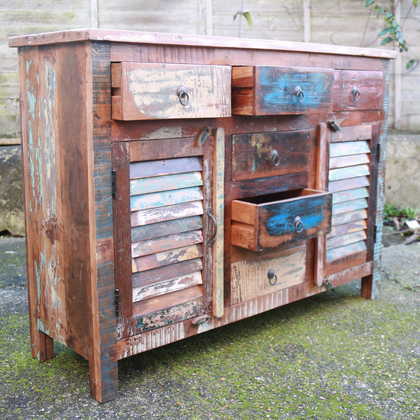 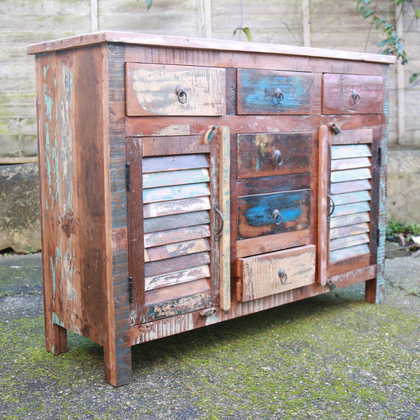 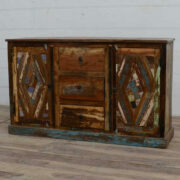 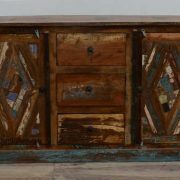 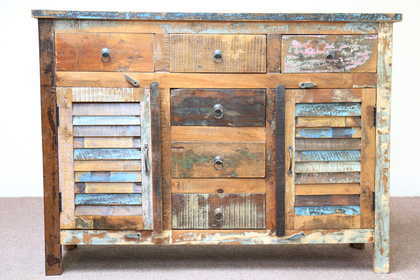 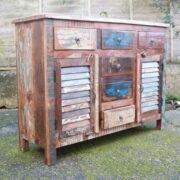 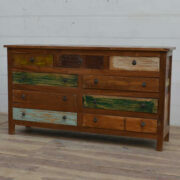 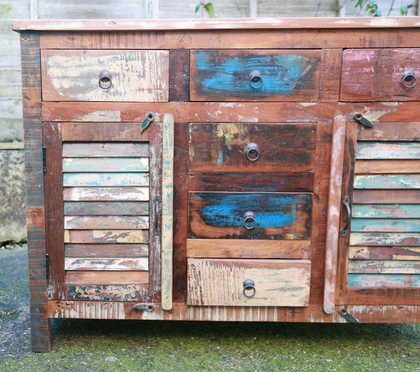 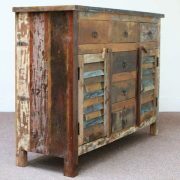 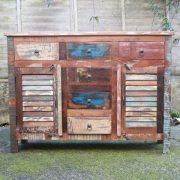 This sideboard is made from painted reclaimed Indian wood and has 6 drawers and 2 cupboards (with a shelf in each). This sideboard has an unusual arrangement for us, with three drawers over two cupboards and three more drawers in the middle, but actually it makes perfect sense, as there’s separate places for your cutlery, napkins, placemats, glassware, crockery and tableware, all in one unit. 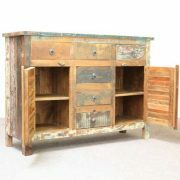 So buy it now! 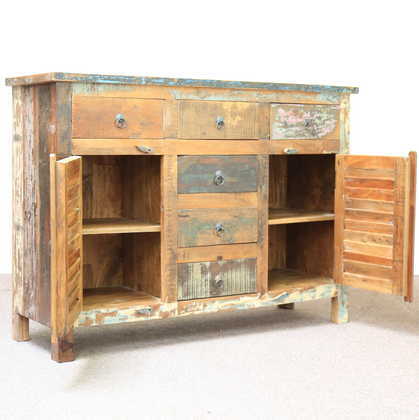 Each cupboard has one shelf, and the drawers have ring handles. 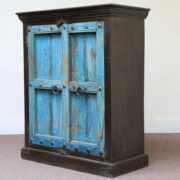 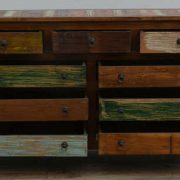 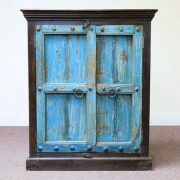 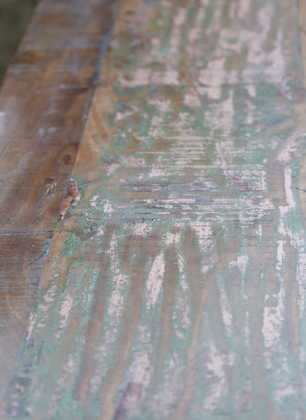 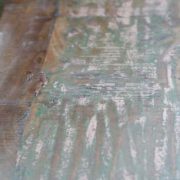 Handmade in India from reclaimed timbers, we call this style Shabby Raj a distressed painted rustic look in blues, greens and creams that are similar to the neutrals of shabby chic, but that more reflect the colours and culture of Rajasthan, India.